Wendy Qiao When Wendy Qiao moved across the globe to join Professor Peter Zandstra’s lab in the Donnelly Centre, she couldn't have known that, six years later, her research would net her one of the biggest student honor in the institute – the Donnelly Thesis Prize. 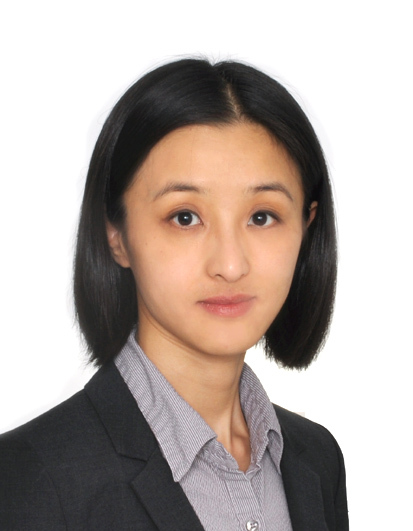 Now, with the award under her belt and an exciting job in the pharmaceutical industry, Qiao looks back on her career choices that have one thing in common - a zest for solving difficult problems. Congratulations on winning the Donnelly Thesis Prize! After years of hard work, how does it feel to know that your thesis got recognized in this way? It is certainly a nice way to conclude my academic career. I feel honoured and inspired to continue my journey in bioengineering. What made you decide to join the Zandstra lab in the first place? I did my undergrad in biomedical engineering at the University of Auckland in New Zealand. The program was focused on engineering and computational science. I was becoming more interested in computational biology at that time. At the end my undergrad, I felt the need to learn some biology in order to have a career in computational biology. That's why I was looking for an opportunity to work on a computational side of things in a biology lab. Peter’s group was one of the few that was well set up for both experimental and computational work - integrating mathematical modelling with stem cell biology. I thought that was a really good environment to be in. How did your coding and maths skills help expand our understanding of stem cell biology? My project focused on blood stem cells. They are the origin of all types of blood cells and play an important role in blood generation. Different types of blood cells in our body all talk to each other, such that mature blood cells talk to blood stem cells and control how the stem cells decide which cells to turn into. It is a very dynamic process in a mixed system. My thesis is the beginning of untangling and understanding this process. This sounds really complicated. How did you go about it? We broke the problem into separate chunks and developed strategies to understand this complexity at three levels. First, we looked at the population level – in this mixed system of cells, what are the relative proportions of different cells? Then, we investigated inter-cellular communication – how these different cells signal to blood stem cells. Finally, we looked at the intra-cellular level how blood stem cells integrate all these signals from their environment to make their decisions of which cell type to turn into. The Zandstra lab is at the forefront of stem cell research. What was it like to work in such an environment? Peter is a visionary mentor and he likes to see the big picture. For instance, stem cells reside and function in a microenvironment. At any point, their cell fate decision is the result of many factors. When people study stem cell fate regulation, they tend to focus on one aspect at a time. Peter had a different approach early on, in that if we are to understand stem cell biology, we need to look at the system as a whole. Now, more and more researchers are beginning to take into account global regulation in a complex system. The Donnelly Centre is known worldwide as a hub for interdisciplinary research. Was it helpful to have colleagues from different fields of science under the same roof? Definitely! When I joined Peter’s lab, I was new to the type of data and modeling that I was working with. I would literally just go up to Drs. Gary Bader and Quaid Morris’ floor in the Donnelly Centre and knock on their doors to ask questions. It would have been a lot harder at the beginning of my thesis without their help. Bader and Morris also ended up being my thesis advisors, as well as collaborators. You have since become a highly sought-after collaborator, authoring six publications during your PhD. Yes, the strategies we developed to understand blood stem cells can also be applied to other systems. I worked directly with Dr. Martin Bornhauser from Dresden University in Germany on untangling interactions between cells in the bone marrow and breast cancer, Dr. Michael Rendl from Mount Sinai Hospital in New York on hair follicle research, and also indirectly with Drs. Freda Miller and David Kaplan, of the Hospital for Sick Children in Toronto, on applying my models on brain stem cells. These collaborations have taught me the “big picture” thinking, and how to transfer scientific concepts and techniques from one field to another. You now work as a computational scientist in a pharmaceutical company. What made you decide to switch gears and how did your training set you up for this job? Although I enjoyed exploratory research in an academic setting, I also feel excited when my work has practical application. While I was still doing my PhD, I did an internship with Merrimack Pharmaceuticals that specializes in cancer research. That’s when I first had the taste of modeling patients’ responses to drugs based on their biological data, and I enjoyed it. I now work with them on understanding how the immune system and cancer cells talk to each other, and so my PhD project was a good foundation for what I am doing now. Do you have any advice for budding scientists who are just embarking on their PhDs? Yes, absolutely. There are three main lessons that I have learnt from my PhD training, which I would like to share. Academically, pursuing a PhD takes a lot of hard work, dedication and persistence. Being self-motivated and focused can help you get through hard times. Scientifically, to improve the impact of your work and advance your career, I found it helpful to always have a big picture in mind and think about how your work may be used in other fields, since many concepts and technologies are transferable across fields. Speaking about career, my experience is that I had a lot of freedom on deciding my research direction, so that I had opportunities of steering the direction of my research in a way to build my scientific and technical knowledge needed to get an industry position in a different field from my PhD research. My advice would be to think about what you want to do after PhD training early and plan accordingly when you are still doing PhD.